Only $12.95 for adults, with reduced rates for children. Our menu features pancakes, French toast, scrambled eggs, home fries, bacon, sausage, ham and our own pure maple syrup. We also have toast and English muffins to sample our maple cream and maple sugar. Available beverages include orange juice, coffee, tea, milk, and hot chocolate. 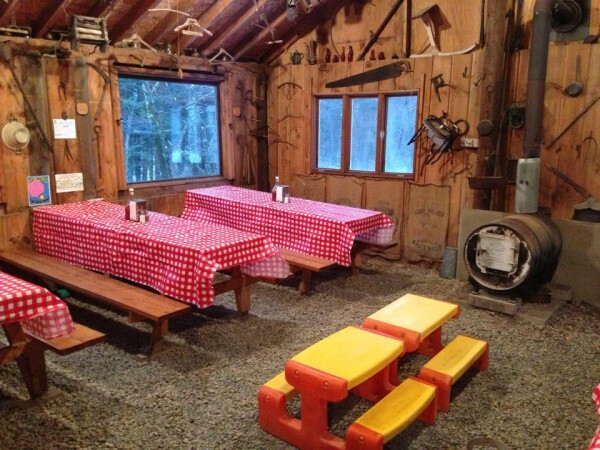 Rustic “All-You-Can-Eat” Dining at its Best. Serving Saturdays & Sundays, 8:00 am to 2:00 pm Spring & Fall. Looking for a rustic, informal facility to hold a special event? We can accommodate 50 to 80 people. Contact us for more information.